Retail billionaire Sir Philip Green is on track to be stripped of his knighthood. British lawmakers voted Thursday to strip the Topshop entrepreneur of his prestigious title, saying he should shoulder the blame for his former department store business stumbling into bankruptcy. The collapse and closure of department store BHS has affected about 11,000 workers and left about 20,000 retirees and employees facing losses on their pensions. Over 100 members of parliament called for Green's knighthood to be revoked. A July report from British lawmakers said Green "systematically extracted hundreds of millions of pounds from BHS, paying very little tax and fantastically enriching himself and his family, leaving the company and its pension fund weakened to the point of the inevitable collapse of both." 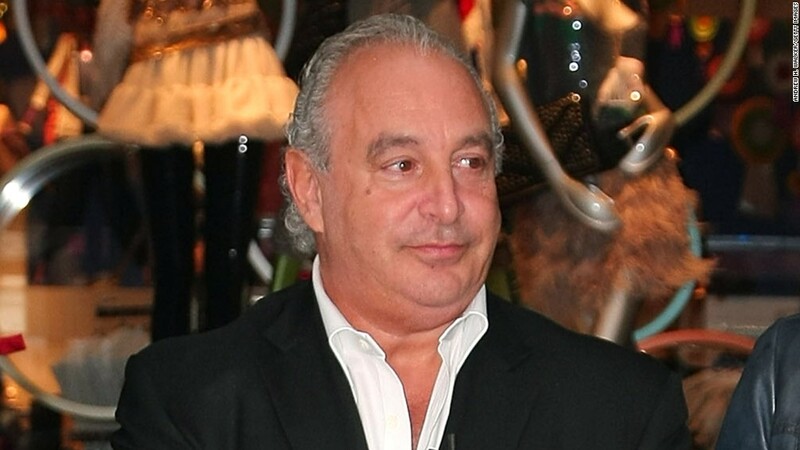 MPs approve amendment calling on the Honours Forfeiture Committee to recommend Sir Philip Green's knighthood be annulled. The government's Honours Forfeiture Committee will make the final decision on Green's knighthood status. Green and his firm Arcadia Group declined to comment on the vote. Green owned BHS for 15 years and oversaw years of deep losses at the company. He then sold it last year to a firm called Retail Acquisitions, reportedly for £1. BHS pension funds don't have enough cash to pay members what they're owed in retirement. The most recent calculations show the funds have a combined £571 million ($700 million) pension deficit and no formal proposal has been put forward to fill the gap. Investigators tasked with examining the BHS collapse have demanded that Green make "a large financial contribution" to help the pension funds.